Japanese technology like you have never seen before. 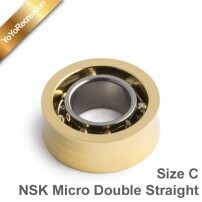 Yoyorecreation bearings are possibly the best in the world, but especially the 'NSK' seems to have come from another world. If you want maximum technology, maximum speed and maximum spin time, then choose either of these bearings, I already have my favorite, what about you? 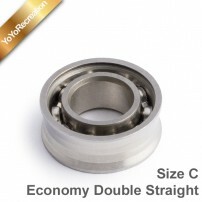 Economy DS Bearing by YoYoRecreation. Yoyorecreation presents the best Yo-Yo bearing in the World, as of right now. Let yourself be mesmerized by the incredible NSK Micro DS.